Use MemoryGiant.com coupons to get a great deal on a RAM upgrade for your computer or printer. They offer lightning fast free shipping on every order (computer and flash memory upgrades) to all 50 U.S. states. They are a supplier of RAM upgrades for nearly every computer, with popular brands including Apple, Dell, Asus, HP, Toshiba, Acer, and Lenovo. 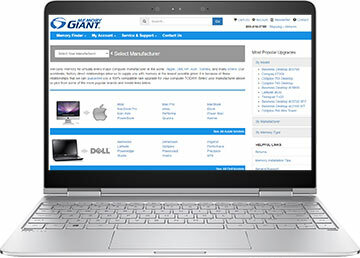 Memory Giant carries RAM for nearly every computer manufacturer in the world, and you can shop it all at MemoryGiant.com. This memory supplier has factory direct relationships to offer the lowest possible price, and guarantee your ram upgrade 100%. They have ram upgrades for computers and printers from Dell, HP, Apple, Alienware, Lenovo, Acer, Canon, Toshiba, Asus, and more. Use their “Scan My System” tool to scan your computer to find the exact RAM upgrade you need.